Say you're a hacker trying to cripple a major electronics company for suing its own users: how do you launch a cyberattack without harming the people you're trying to protect? In the case of hactivist group 'Anonymous,' which has spent the week targeting Sony to retaliate against Sony's ongoing lawsuits against PlayStation 3 modifiers, you take it offline. 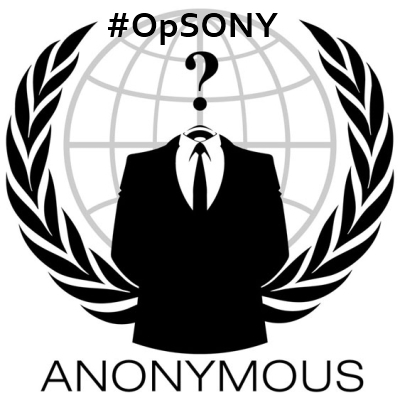 Anonymous is staging a 24-hour, in-store boycott at Sony stores around world on Saturday, April 16. So far over 1,000 people have RSVP'd through Facebook. On Monday, Anonymous launched a DDoS attack on Sony that rendered the PlayStation Network (PSN) inaccessible for most of the day (while an Anonymous offshoot calling itself "SonyRecon" targeted individual Sony employees). But after consumers complained that the takedown was doing more harm than good to gamers, Anonymous reversed the hack and took down the Sony Careers page instead. Sony has remained tight-lipped about the hack, only acknowledging the "possibility" of an attack to GameSpot. "Anonymous is not attacking the PSN at this time. Sony's official position is that the PSN is undergoing maintenance. We realize that targeting the PSN is not a good idea. We have therefore temporarily suspended our action, until a method is found that will not severely impact Sony customers," Anonymous wrote in a blog post. In January, Sony sued 23-year-old George 'Geohot' Hotz for exposing the root key to a PS3, allowing users to develop and play homebrew games. His case has been well-documented, partly due to Hotz' appearances on talk shows and homemade anti-Sony rap videos posted on YouTube. Unphased by consumer anger, Sony recently received permission to subpoena PayPal for Hotz' records. Meanwhile in late February, German police raided the home of Egorenkov, who is best known for reverse-engineering the PS3 and researching security loopholes in the console. Sony later sued Egorenkov for one million euros ($1.4 million) for publishing the findings of his research, known as the "Hypervisor Bible," online. Anonymous is a coalition of hackers operating under the name "Operation Payback." It has taken on such targets as Broadcast Music International, former HBGary CEO Aaron Barr, Visa, Mastercard and PayPal, the Recording Industry Association of America, the U.S. Copyright Office, and the Motion Picture Association of America. Greetings, Sony Customers And PS3 Users. We are Anonymous. During the last few days, Anonymous has been targeting Sony for their outrageous treatment of not only PS3 users and jailbreakers, but also of the general public. Their propaganda regarding jailbreaking implies that it encourages piracy and thereby makes people lose their jobs, whereas jailbreaking actually just means you are making YOUR device do what it should do. Imagine if Microsoft forced you to use Internet Explorer instead of Firefox or Chrome. Imagine if they denied users from using any other web browser than their own. Many people would obviously be pissed... but then, why aren't you pissed at Sony? The fact that their litigation demanded information on everyone who had viewed the material, was completely unacceptable. This is a threat not only to the gaming community, but to freedom of information in general. The fact that the privacy of individuals can be violated, simply for accessing information, and legal action can be taken for doing something with something you own, are steps far beyond the line. Anonymous decided it could not allow this to stand. If jailbreaking a phone for use of legal (unsigned) apps is found legal, why would this be any different for the Geohot case, seeing as Geohot explicitly states he does not support piracy? Anonymous is not attacking the PSN at this time. Sony's official position is that the PSN is undergoing maintenance. We realize that targeting the PSN is not a good idea. We have therefore temporarily suspended our action, until a method is found that will not severely impact Sony customers. Anonymous is on your side, standing up for your rights. We are not aiming to attack customers of Sony. This attack is aimed solely at Sony, and we will try our best to not affect the gamers, as this would defeat the purpose of our actions. If we did inconvenience users, please know that this was not our goal. This operation is a response to Sony's attempt to deprive their customers of products they bought and therefore own, wholly and completely. Anonymous will not attempt to fight this by following the exact same course of action. We have plenty of tricks up our sleeves. As a last point, we would like to point out that different operations are "run" by different people. Those who are involved in the organisation of OpSony, are not necessarily those involved in that of SonyRecon. Anonymous Operations are generally independent efforts, and it would be a mistake to assume that the same individuals are responsible for every action taken. Anonymous is comprised of people with diverse points of view, of which not all coincide with one another. That being said, our campaign against Sony and others that would trample on the idea of free information will continue, until we are satisfied with the outcome.